As you may have guessed, hardscaping is a subcategory of landscaping with the emphasis on those elements of landscaping which consist of hard materials. For instance, driveways, walkways, stonewalls, and patios are all part of hardscaping. By contrast, flowers, groundcovers, and water would be considered “softscaping.” While things like stones or bricks might not be what you think of when you are trying to figure out how to beautify your home or property you manage, hardscaping has a distinct visual affect and many practical benefits. Here are some of the most common hardscape areas which will beatify your yard. There are several reasons that hardscape design is an important part of your landscape. Here are some of them. While flowers, shrubs, and gardens are often the more sought for landscape elements, hardscape features are both appealing and practical. Home Value: A home with attractive landscaping can sell for as much as 10% more than a similar home without landscaping. A quality hardscaping design can enhance the value of your home as it will add beauty, thought, and an impressive of longevity to an otherwise average yard. Even from a distance, a stone walk way or attractive retaining wall will add beauty. This is often referred to as curb appeal. 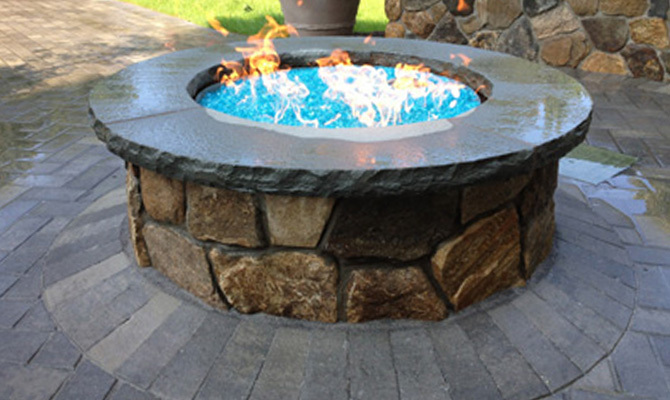 Necessary Features: It may be necessary to have certain hardscape elements of your yard. At a bare minimum, you probably need a walkway to your front door, front door steps, and unless your ground is very flat, a retaining wall. Since you will have these hardscapes anyways, why not make them attractive. Enlarge Home: While this may seem a strange concept, a good hardscape design and actually extend the look of your home. By using patio’s, walls, fences, etc. in a clever design, a hardscape which is similar to the overall look of the house will actually make the home feel like it has an open air addition. Supports Other Fixtures: A pool is a classic example of this. You may have a nice pool, but without proper hardscaping it will often look a little bit tacky. A well designed hardscape will visually support the pool while probably providing practical help as well, in the form of drainage or protection from wind. When designing your hardscape you will want to speak with a landscaper who has experience creating beautiful hardscape designs. However, it is a good idea to think about what you would like to do before you talk with your landscaper. Hardscape design is a combination of working with what is needed (like a retaining wall to keep soil in place) and turning it into a beautiful and functional aspect of your lawn. There are many aspects, such as material, texture, color, and angle, just to name a few which will help accomplish this. 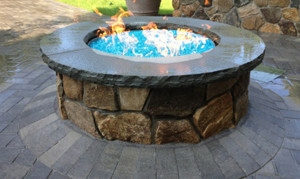 At Greener Horizon in Middleboro MA, we understand how important hardscaping is in the overall landscape design. If you need help deciding what to do in regards to your retaining walls, patios, outdoor kitchens, or any other hardscape service be sure to contact our expert team. We will walk you through the process, answer any other landscaping questions you may have, and schedule a complementary consultation.